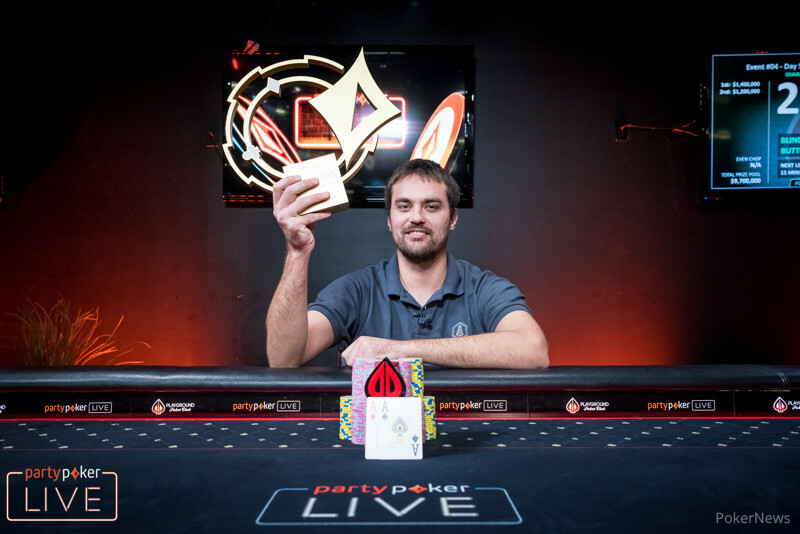 The final day of the partypoker MILLIONS North America in Montreal, Canada has seen the $5,300 Main Event come to an end. Taylor Black from Santa Cruz, California has claimed victory on his first MILLIONS trophy and captured $1,400,000 in the process. Black defeated well-known poker pro Darryll Fish in a heads-up battle that lasted over two hours. When asked how he was feeling after winning the tournament, Black was at a loss for words. "It feels great, it's hard to describe. You play a million tournaments and to actually win one is really awesome." Black will have plenty of time to decide what to do with this massive payday. "I don't really have plans for (the money) yet. I'm not sure, I'm kind of shell-shocked." As for his worthy opponent, Darryll Fish, this also marks his largest payday in any single tournament of his career. Fish was the most recognizable name on the final table but was forced to grind out a short stack for the majority of the day. The first seven-figure score of his career will add to Fish's resume that is already over $3.5 million in career earnings. 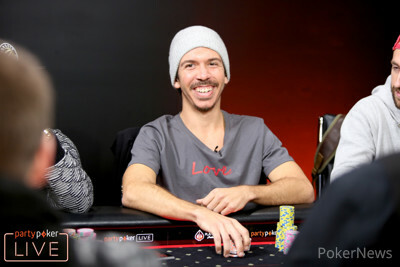 The action got underway on Day 5 with nine players remaining and surprisingly it was Guillaume Nolet who wound up busting on the final table bubble. Nolet ran into a couple of cooler hands and even correctly laid down pocket kings at one point, but eventually ran out of chips when he ran into the pocket jacks of Anthony Ruberto. From there, it became the Taylor Black show, who relentlessly took advantage of the shorter stacks at the table that were looking for pay jumps. Black continued to raise with any two cards in any position all in the while building up a healthy chip lead. Ruberto made sure to not fall too far behind and appeared to be the only player willing to tangle with Black in some key pots. However, the casualties started to fall and the first was Tommy Nguyen who tried to make a hero call on the river. Unfortunately for him, Black tabled the goods and Nguyen was the first to be eliminated on the final table. After a couple double ups from the short stacks, George Lagos was left in a position where he had to be the one to make a move. He shoved all in with suited connectors but was looked up by the pocket nines of Ruberto. 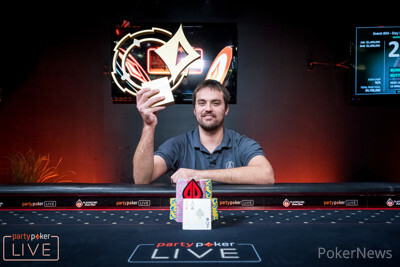 Although Lagos made a flush on the turn, Ruberto made a bigger flush on the river to eliminate Lagos in seventh place. Demosthenes Kiriopoulos came into the day as one of the shorter stacks and was just unable to pick up any hands when he needed to. Kiriopoulos was fortunate enough to ladder his way up to sixth place but eventually succumbed to the big stack of Black. It took nearly two hours for the next bust out to occur. Charles La Boissonniere was just starting to hit his stride in the tournament but his flopped two pair was counterfeited by Fish's two pair on the river. That left La Boissonniere with around 15 big blinds and he got all of his chips in the middle with the next ace he picked up. Ruberto found another premium hand of pocket tens with a player all-in in front of him and made the easy call. La Boissonniere was unable to connect with the board and busted in fifth place. Just two hands later, Markus Prinz ran into the same situation when he picked up an ace in the small blind but Fish held pocket jacks in the big blind. Prinz couldn't pair his ace which meant the final three players were all guaranteed to walk away with at least $1,000,000. The final three players took an extended break before the action resumed and the play-style had noticeably changed. After a few beverages, the action was a lot looser and none of the players afraid to spice up the action. Ruberto made it clear he was happy with a seven-figure score and tried to run a big bluff against the chip leader. However, Black had flopped top set and wasn't going anywhere, placing the trap perfectly for Ruberto to fall into. Just 20 minutes into three-handed play, Ruberto hit the rail and the final two players were left to battle for the trophy. It took over two hours of heads-up play to finally decide a winner that saw Fish's comeback fall just short. When the final two players took their seats for the last time across the table from one another, Black held a three-to-one chip lead that looked like a mountain for Fish to climb. However, Fish did his best to close the gap and even took the lead for a narrow couple of hands. The hand that everyone was left talking about saw Black make a huge river bluff to open his chip lead back up. Fish bet the river with just ace-high and Black check-raised all in with king-high, forcing Fish to fold with 17 big blinds left in front of him. Just a few hands later, Fish ran his top pair on the flop into the pocket aces of Black. Both players made two pair by the river but it was Black's that was the stronger of the two, securing him the win and ending the match. There are still some side events waiting to wrap up late today, but the main spectacle inside the Playground Poker Club has come to an end. Taylor Black will be leaving Canada as the poster boy for winning the largest ever tournament held in the country. The PokerNews live reporting team was pleased to bring you all of the live updates throughout the event. Darryll Fish raised to 45 million on the button with and Taylor Black re-raised to 140 million with in the big blind. Fish called for a third of his stack and the two players saw a flop of . Black led out for 130 million and Fish shipped all in for 354 million with his top pair. Black snap-called with his pocket aces and the cards were on their backs. The turn brought the , taking away some of Fish's outs. The river was the giving Fish a bigger two pair but it wasn't enough to beat Black's largest two pair. The two players shook hands and will both leave with smiles, but it will be Black hoisting the MILLIONS trophy tonight. Darryll Fish raised to 50 million on the button with and Taylor Black three-bet to 170 million with in the big blind. Fish made the call and the dealer fanned the flop of . Black led out for 140 million and Fish called with ace-high and a straight draw. The turn was the and both players checked to the on the river. Black checked again and Fish pushed in a bet of 260 million. Black check-raised all in for 716 million and put Fish to the test for his last 339 million. Fish tanked for over a minute before releasing the best hand into the muck. Darryll Fish opened to 35 million on the button with and Taylor Black re-raised to 116 million with in the big blind. Fish made the call and the flop came . Black led out for 85 million and Fish stuck around with his straight draw to see the on the turn. Black fired another 190 million with top pair and Fish took his full 30 seconds before mucking his hand. After losing the chip lead for a couple of hands, Black has regained the advantage in this heads-up affair. Darryll Fish raised it up to 35 million on the button with and Taylor Black defended from the big blind with . The flop came and Black check-called a bet of 20 million from Fish. The turn brought the and Black checked again. Fish tossed in a bet of 70 million and Black quickly disposed of his cards. Taylor Black opened to 30 million on the button with and Darryll Fish defended his big blind holding . The flop came and Fish check-called a bet of 25 million from Black. The turn was the and Fish checked again. Black fired another 40 million with his two-way straight draw and Fish continued to call. The river was the and Fish checked for the third time. Black slid in a bet of 140 million and Fish made the hero call. Fish dragged in a huge pot to bring the stacks nearly level. Darryll Fish limped in on the button with and Taylor Black raised it up to 45 million in the big blind with . Fish called to see the flop of and was faced with a bet of 35 million from Black. Fish called and the rolled off on the turn. Taylor checked this time and Fish pushed in a bet of 88 million. Black still had the best hand and the nut flush draw, thus making the call. The river landed the and Black checked again. Fish checked it back with just a ten-high flush draw and Black raked in a healthy-sized pot.